Another group of Afghan soldiers are attending the Afghan Commando Course at Camp Commando (located just outside of Kabul). 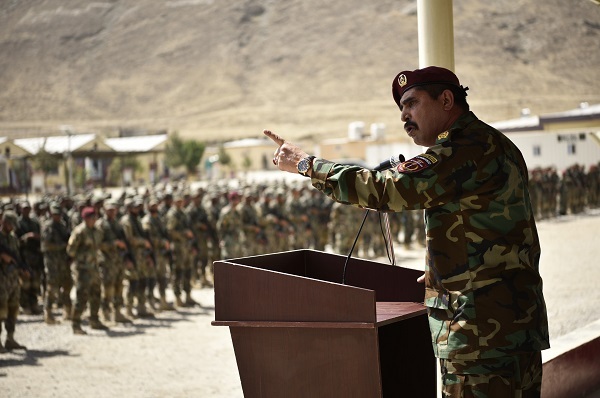 The opening ceremony was conducted on July 15, 2018 and the keynote speaker was Lt. Gen. Bismallah Waziri – the commander of the Afghan National Army Special Operations Command (ANASOC). The Commandos are undergoing a 14-week long training course. 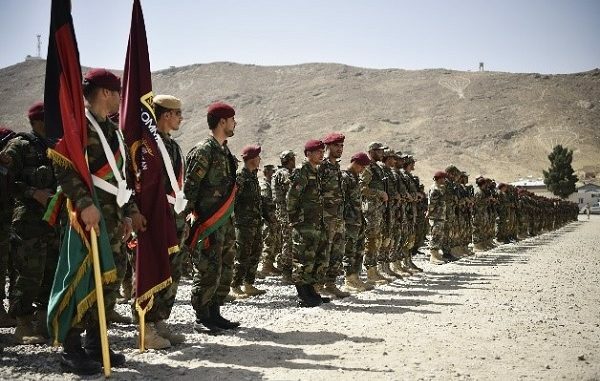 This current class of almost 800 trainees were taken from the ranks of the Afghan National Army. The course has been designated as CDOQC 25 and will consist of patrolling, navigation, medical aid, weapons firing, and Close Quarters Combat (CQC) – as well as a host of other related special operations skills. “You begin your journey today, transforming into one of Afghanistan’s elite Soldiers. You will bear the responsibility of safeguarding Afghans and Afghanistan against the Taliban, ISIS-K, and any other enemy of our great nation. You owe this to the families who have lost a son in the name of our defense, and prosperity”. The Afghan Special Security Forces (ASSF) are in the process of doubling in size. The training of new Commandos in the Afghan Commando course is a significant step in filling the ranks of new SOF formations in the Afghan National Army. The Afghan SOF units (both Army and police) are constantly being overused and misused. The optempo is too high and many times the ASSF units are doing missions best suited for the conventional Afghan National Army units or Afghan National Police. ASSF units are often tasked to hold areas once they have completed clearing operations. Afghan conventional forces are still not able to quickly move into areas where the Commandos have cleared insurgents. This limits the agility and flexibility of the Special Operations Kandaks (SOKs). Although the Commando units as well as other SOF units account for a small fraction of the Afghan National Defense and Security Forces they conduct the vast majority of the offensive operations. The ANDSF growth plan that was initiated last year (2017) provided for the formation of SOF Mobile Strike Commando companies and increase of the ANA SOF units. The command grew from a division to a corps and growth plan provided for an increase from two SOF brigades to four SOF brigades. Many other changes in the Afghan SOF community took place – such as the formation of the National Mission Brigade. The two ANA Mobile Strike Force brigades were transferred to ANASOC. Part of the MSF transition included attendance to the Afghan Commando course and then the Cobra Strike Maneuver Course (CSMC). The instruction at the Afghan Commando course is provided by Afghan instructors. Military personnel from international special operations units belonging to NSOCC-A / SOJTF-A provide training, advise, and assistance to the cadre at the ANASOC School of Excellence at Camp Commando. Top Photo: Trainees of the Afghan Commando Course CDOQC for July 2018 in formation at Camp Commando. Photo by MSG Felix Figueroa, NSOCC-A, July 15, 2018.